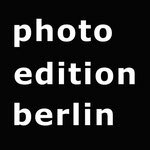 Photo Edition Berlin ist die erste Galerie in Deutschland, die Kryptowährung für Kunstwerke akzeptiert. Zu den Währungen, die wir derzeit akzeptieren, gehören Bitcoin, Ethereum, Cardano, Miota, Omisego, Litecoin, Zcash, EOS, Pundi X und XEM. Grundsätzlich kann jedes Werk bei uns mit Kryptowährungen bezahlt werden. Der entsprechende EURO Betrag wird am Tag des Kaufs entsprechend des aktuellen Kurses von Bitcoin (u.a.) ausgerechnet und dann in der Rechnung ausgewiesen. Die Zahlungsbestätigung wird nach Eingang auf unserem Wallet sofort für sie verfügbar sein. Wie kann ich mit bitcoin und andere altcoins kaufen? Gerne unterstützen wir Sie bei der Einrichtung eines Wallets oder eines Umtauschs, wenn Sie Krypto-Währung bei der Beschaffung von Kunstwerken einsetzen möchten. Kontaktieren sie uns einfach. Photo Edition Berlin is the first gallery in Germany to start accepting cryptocurrency for works of art. The currencies which we currently accept include Bitcoin, Ethereum, Cardano, Miota, Omisego, Litecoin, Zcash, EOS, Pundi X and XEM. Bitcoin (short: BTC) is a digital currency that is created (mined) and stored electronically. Unlike the euro or the dollar, bitcoins are not physically printed or produced by central banks, but are calculated locally by many people around the globe with computer power. Bitcoin, like other digital currencies, is not subject to central or state control. Basically every work can be paid with crypto currencies. The corresponding EURO amount will be calculated on the day of purchase according to the current exchange rate of Bitcoin (etc.) and then shown in the invoice. The payment confirmation will be available to you immediately upon receipt on our Wallet. How can I buy using bitcoin and other altcoins? We would be happy to assist you in setting up a wallet or an exchange, if you wish to use cryptocurrency in the acquisition of artwork. Simply contact us.